Engineering Solutions Company - Engineering Solutions - Diversified Services Network, Inc. Engineering Solutions Company - Engineering Solutions - Diversified Services Network, Inc.
Trust our expertise and quality commitment. Since 1989, DSN Has Been Bringing Expertise to Work for You. Our clients trust us to develop solutions to their toughest engineering challenges. In fact, we are continually growing our capabilities – often at the request of our clients. They see the outstanding level of work we provide, and they seek us out to meet an increasing scope of needs. We are always delighted to fill these needs and satisfy our clients. The Six Sigma team appreciates the perseverance of the DSN team to deliver by finding alternative solutions to the changes in program scope. On behalf of our team, I would like to thank DSN for their efforts and look forward to the production release of the second generation of software. We look forward to seeing the benefits of the software in terms of efficiency and data accuracy. I’d like to thank all DSN dedicated team members for their outstanding work that resulted in avoiding a possible plant shutdown and in saving significant job hours. During four challenging days, everyone rolled up their sleeves and took care of business. 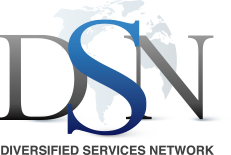 DSN’s team has put forth a tremendous effort to deliver what I think is an outstanding talent sourcing service in a very short amount of time. DSN’s employees, thank you for your integration, architecture and management support.